Hackers from Italy, known as Hacking Team, announced the release of the program, which is capable to hack any smartphone running iOS, Android, Windows Phone and BlackBerry. In addition, the developers claim that the tool is able to hack computers running Windows and OS X. According to the developers, the software is able to break the protection of almost all existing platforms. 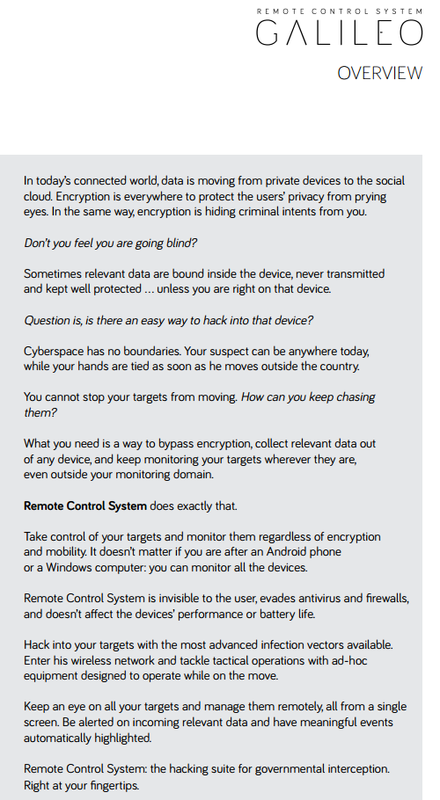 This, in turn, allows attackers to gain access to the personal data of users. A software tool was named Galileo and, according to the developers is capable of breaking through defense system of modern operating systems. Getting into the device the program begin to transmits voice and text messages, emails, files, web-surfing history to the hackers in “invisible” mode, and can also provide remote access to camera and microphone. 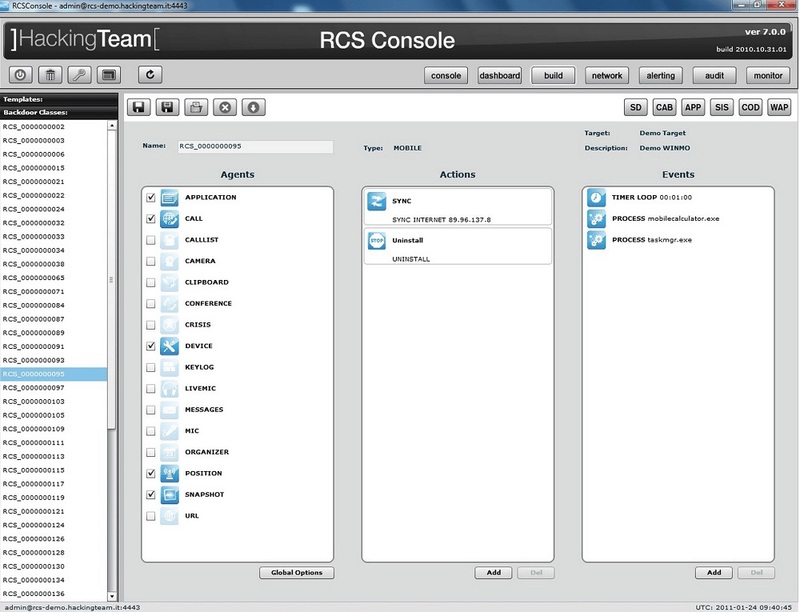 Further, all the data are transmitted to a secure RCS-server. Hacking Team declares that despite the almost constant activity of the program, it does not affect performance or any other features of the device and the chances of finding software by the user are minimal. At the same time, the software can be installed remotely. Developers cooperate with the authorities in different countries and do not intend to distribute a tool for public use. According to hackers, they sell their software only to the government departments. It is known that official government departments of such developing countries as Mexico, Colombia, Kazakhstan, Uzbekistan, Morocco, Sudan, Malaysia, Ethiopia, and UAE are in the list of potential customers of the software. 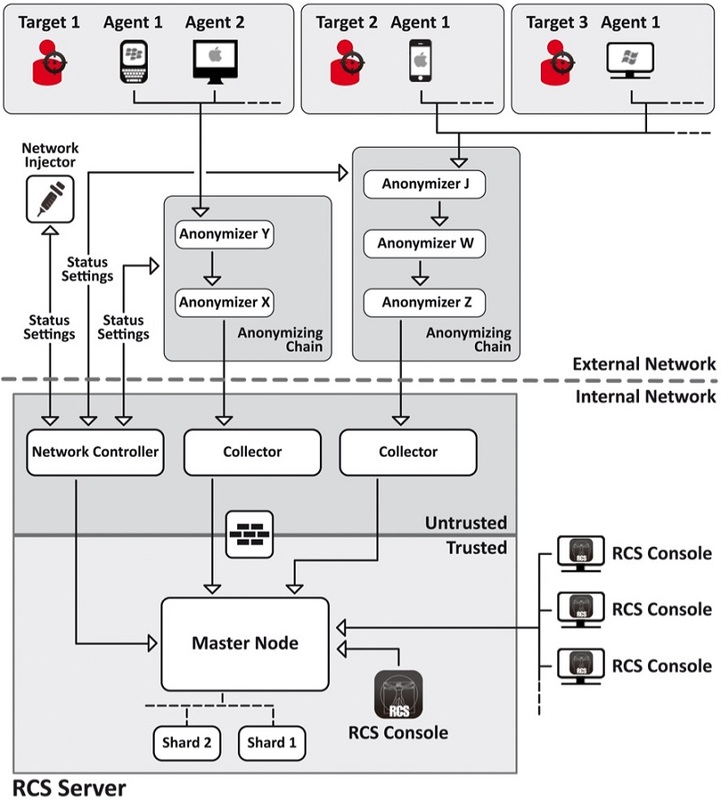 The Galileo RCS Console used by various governments to control their surveillance kit. However hackers from Italy claim that they only work with those countries whose governments do not conflict with the U.S. and NATO. After two Adobe Flash player zero-days disclosed in a row from the leaked data of Hacking Team, security researchers from FireEye and TrendMicro has been discovered two new zero-day vulnerabilities.